At Bike Trials Direct, we pride ourselves on quality products, and excellent customer service. Please feel free to call or email at any time with any queries about our products, or about Bike Trials in general, we'd be happy to help! Our warehouse is located in Canberra, Australia. Please note we are only open by appointment - if you would like to visit our warehouse to test ride a bike, please be in touch. 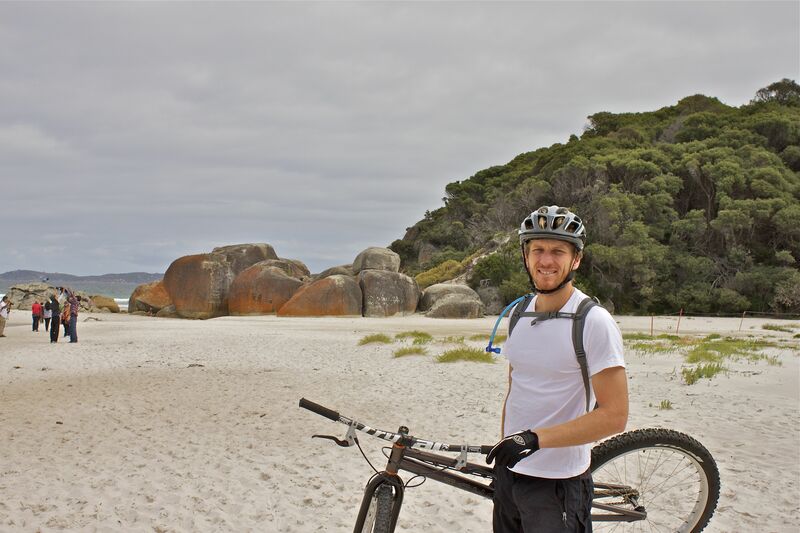 Bike Trials Direct was opened in 2010 by Owen Gwilliam, a passionate trials rider who moved to Melbourne to be part of the exciting trials scene, to ride with Australia's best. Since then BTD has grown from a very small sideline business, importing a few boxes of parts at a time, to a successful business importing full container loads of bike trials bikes, parts, and accessories. Bike Trials Direct is the sole Australian distributor for the Echo Group. This includes Echo, Zoo, Czar, and GU. We work closely with Echo on product development, and are able to provide their latest and greatest products direct to customers. Echo Bikes were established in 2001, and are now the biggest manufacturer of specialist Bike Trials bicycles in the world. We are also the exclusive distributor of Inpulse Bikes, and the Monty bicycle range. In addition to these core exclusive suppliers, we stock a range of quality parts and accessories from a variety of worldwide partners, including TNN, Tryall, Maxxis, Kenda, Wellgo, Magura, and Racing Line.